The thing that startups have in abundance is Questions. Questions related to finance, funding, technology, infrastructure, outsourcing, turns into an exhaustive list. Here is an attempt to try and discuss peculiar questions that upcoming companies face when trying to find one’s feet in the business. The initial hurdle that startups face is the struggle to beat the clock. Too much to do in a short span of time. Companies start small, with a lean team of core members, but there are humongous tasks at hand. Supporting teams are needed to be a part of a fully functional Enterprise. But do these teams need to be inhouse? In order to save time should a startup opt for outsourcing all it can? Q - Even if it’s not Cost effective, will having an inhouse Tech team be more helpful? Having your entire workforce inhouse is an ideal scenario for all organizations, but when you are short on cash, we look for ways to cut costs at all fronts. In case they are supporting tasks like CRM, HR, SCM, etc. outsourcing the same would not affect your core business. But while working on the core processes it would be advisable or rather be mandatory to have the entire team inhouse. If you are building something new, innovative or creative, having a close-knit team is imperative. Your core competency and core service/products should not be outsourced. To summarize the processes which are not critical to the core business and can be executed at a cheaper rate, retaining the same quality, we can consider it for outsourcing. Most entrepreneurs are eager to take-off with their idea rather than having the patience to formulate a long-term trajectory for their implementation. Deciding on a long-term strategy should go beyond just plotting where we are now and where we want to be 2 years from today. Creating a thorough blueprint of what your service will look like and foreseeing what hurdles it will face once it materializes is imperative. Q - Will outsourcing Create a deviation from Vision and Plan; and how to prevent it? Vision is a necessary ingredient to avoid your plans from going haywire. The Founder/Market fit quotient originates from the amount of study and experience the startup has regarding its product and the market around it. Vision is not just the ability to anticipate the future, but the ability to articulate your conception onto the drawing board. If your requirements are accurately mapped out it would act as a guide for the offshore team while materializing your thoughts. If not, outsourcing won’t work, as the outsourcing company has no incentive in your vision. If there is a lack of clarity in the plan, the Offshore team contributes by implementing the conventional pathways prevalent in the market. Define What we do and Why we do it. Considering the idea and the phenomenal effort you put in; there may be a time when the business takes off and you have more clients that you can handle. You have your plate full and there is more on the way. That is when a business starts examining the prospects of scaling up. Scaling up may involve having a bigger office, getting a larger workforce, maybe having more outlets, but mainly a new strategy. The main target behind Scaling Up is increasing productivity, which involves accelerating the speed of delivery and an enhanced range of offerings. To serve these there might be a need to reevaluate the approach that we have been adopting for delivery so far. Q - How do we evaluate whether to use rapid new age development methodologies? Q - Since we are already a Small company, how important is DevOps implementation for us? DevOps is not just a change in methodology, rather it is a change in culture. It is beneficial to identify if the culture of your organization is aligned with DevOps. SMBs run on a tight budget. DevOps helps you expedite the delivery and get your features online in marginally less time and cost. By adopting automated testing methodologies, the code delivered has reduced errors and a shorter time of identification and resolution. 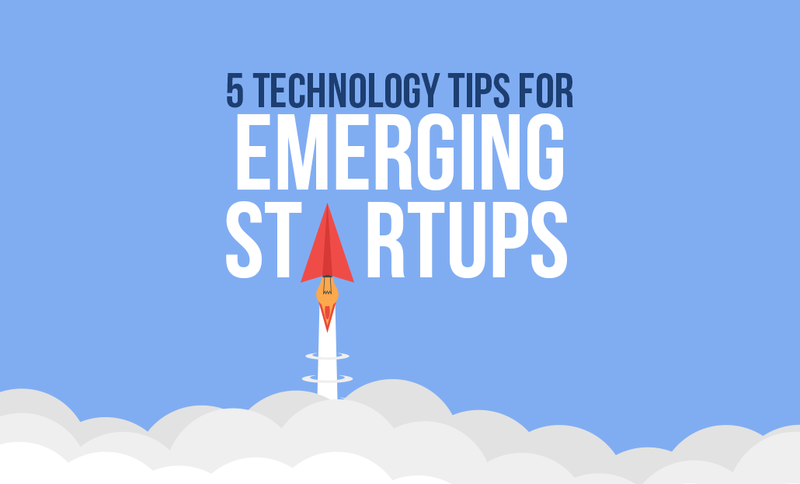 Startups in their initial phases mostly struggle with uncertainties of the environment. Fear of market acceptance keeps at bay from trying out new avenues of targeting opportunities. Amidst the unpredictability how do we judge if a predicament is a risk we are undertaking or an opportunity we are cashing in on. Q - When working on the Digital Face of my product, is it advisable to have a radically advanced interface OR stick to the norms that the industry is currently following? What is the motivation behind having a radically different interface? Is it an urge to try out something unconventional or is it a requisite for your product? Stick to the norms unless you have a revolutionary idea where the interface constitutes an integral part of the solution. Don’t do it just to try and “look different”. Panic or boredom should not drive decisions on radical changes. If you are adamant on changing an interface which is preestablished, conventional and traditional, one plan would be to do it in increments. Release features in installments, taking regular feedbacks and deciding the next course of action based on it. Q - How do we narrow down on a long-lasting Technical Platform without getting into a Tech Bubble, but also not miss the train? Innovations are introduced in technology on a daily basis. Each promotes new and improved functionalities that could propel your applications with modern proficiencies. Seeking to have the most updated framework, platform, environment or library should be based on the requirements your business is catering to where the lack of a possibility turns into a setback or a shortcoming. With a crop of new platforms and frameworks being launched regularly, it is impossible to state which one is here to stay, till it reaches a certain level of maturity. For upcoming organizations, it is better to work with what has been in the market and grown consistently. This provisions better support larger community groups, regular updates and reliable plugins to build upon. Assessing your opportunities with SWOT brings it closer to science rather than being an art or instinctive decision. A calculated risk is preferred to an instinctive surety. Q - At what stage of our growth should we decide to go for CMMI, ISO or other Quality certifications? Getting a quality certification isn’t mostly on the top of a startup’s to-do list. Once you are relieved from the operational and financial pressures and the routines have stabilized it is advisable to look into the Quality of the processes you follow. As soon as you are ready to scale up for a larger customer base, it is advisable to evaluate all your business processes. Most from the startup community believe that locking funding is an emblem of success. Rather, it is just the foothill of the Everest. Growth takes time, which involves perseverance, patience, and foresight of the envisioned path. Dynamic changes driven by dogma may provide self-assurance, but they do not guarantee success. Focus on the Product rather than the technology as technology is subsidiary to your great idea.